This selection of films highlights personal and individual reflections on the impact of the Vietnam War. Ranging from award-winning student films that capture the anxiety associated with the draft, to a political commercial that foregrounds candidate William G. Clark’s anti-war stance, to a documentary made in Garfield Ridge that gives a voice to President Nixon’s “silent majority,” to an excerpt from Chicago-based filmmaker Loretta Smith’s documentary on Vietnam veteran and anti-war activist Ron Kovic, this program brings together a range of intimate perspectives on the impact of the war. Tickets are available for advance purchase here & our Facebook event page is here. Filmmaker Loretta Smith in person! 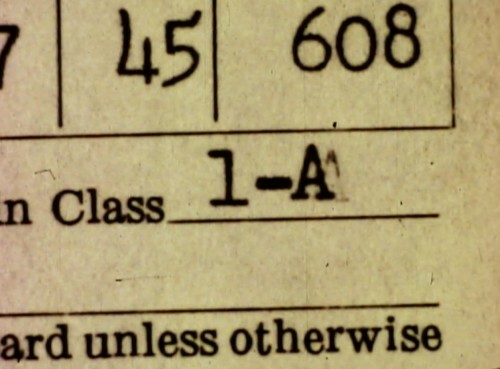 An excerpt from Loretta Smith’s documentary in progress about Vietnam veteran and anti-war activist Ron Kovic (author of the autobiographical book Born on the Fourth of July). 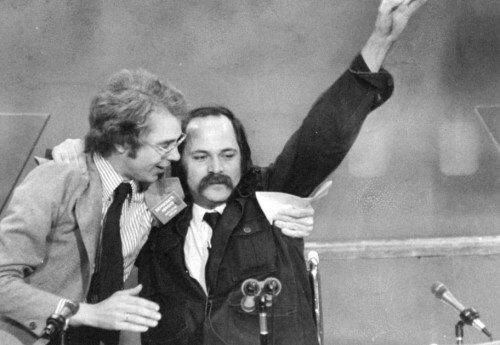 Marine Corps veteran Ron Kovic embraces draft resister Fritz Efaw on the podium of the 1976 Democratic National Convention. Kovic and Efaw joined forces to plea for universal, unconditional amnesty for war resisters on the evening that Jimmy Carter accepted the Democratic nomination for the presidency. Presented in partnership with Chicago Filmmakers. Public Transport:If traveling by CTA, Chicago Filmmakers is accessible by bus routes 84 Ridge and 36 Broadway. Chicago Filmmakers is also a 7 minute walk from the Bryn Mawr Red Line Stop. Parking:If you're traveling by car there is a lot on the NW side of the building off of Hollywood Ave.